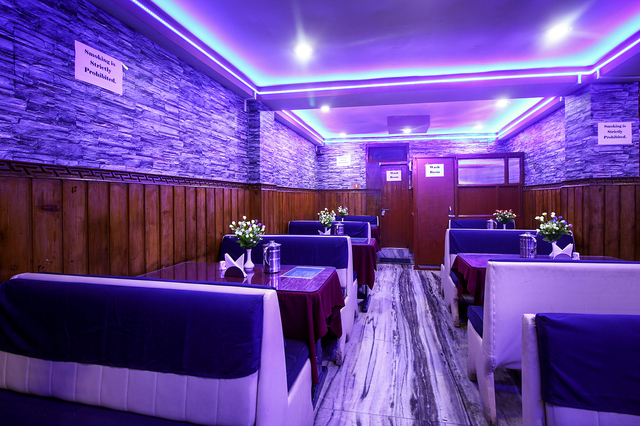 Located in Gangtok, Snow Lion Hotel is an excellent retreat from city life, and meets all the requirements of leisure and business travelers with aplomb. The closest airport and railway station to the region are Bagdogra Airport and New Jalpaiguri Junction. The hotel offers lift, laundry, doctor on call and parking. It features well-equipped conferencing and banqueting venues, making it a perfect base for business and social events. Family/Child Friendly, Room Service, Restaurant, Security Guard, Currency Exchange, Airport Transportation, Laundry Facilities, Travel Counter, Doctor on Call, Baggage Storage on Request. Bottled Water in Room, Iron/Ironing Board, Attached Bathroom, Television Room, Air Conditioning Room, Wakeup Calls, House Keeping, Room Heater, H/C Water, DVD Player. User reviews for "Snow Lion Hotel Gangtok"